Congratulations to Ashleigh Mader and Nolan Mader !!!! 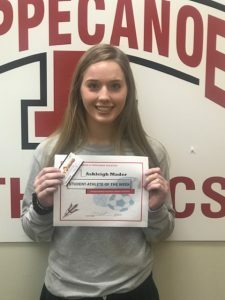 Ashleigh has helped the Lady Red Devils get off to a great start in the 2018 season. She has been the leading scorer in both victories for Tipp. In the home opener verse West Liberty Salem, Ashleigh had 11 points, 4 steals, and 4 assist. Then against Sidney, she lead the team with 18 points. The Lady Red Devils are 2-0 on the season and they have a big game tonight at Springboro. 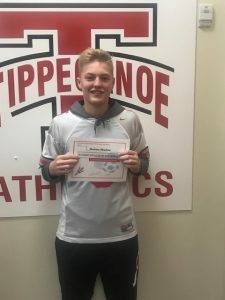 Nolan played a big part of the success for the District Qualifying Golf team this year, and he will be expected to play an even bigger role for basketball. This past Friday against a very talented Sidney team, he lead the Red Devils with 22 points. Tipp will play crosstown rival Bethel this Tuesday in the Devils Den, then play host to Piqua on Friday. SEE YOU AT THE GAME! !